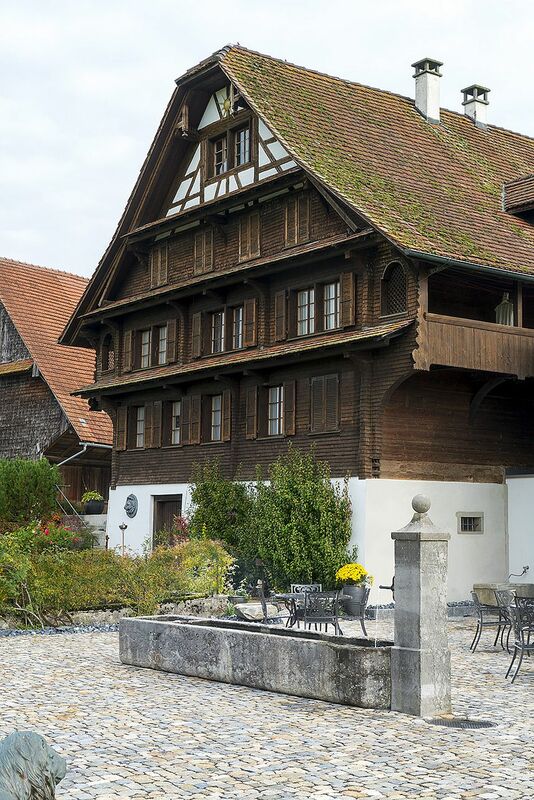 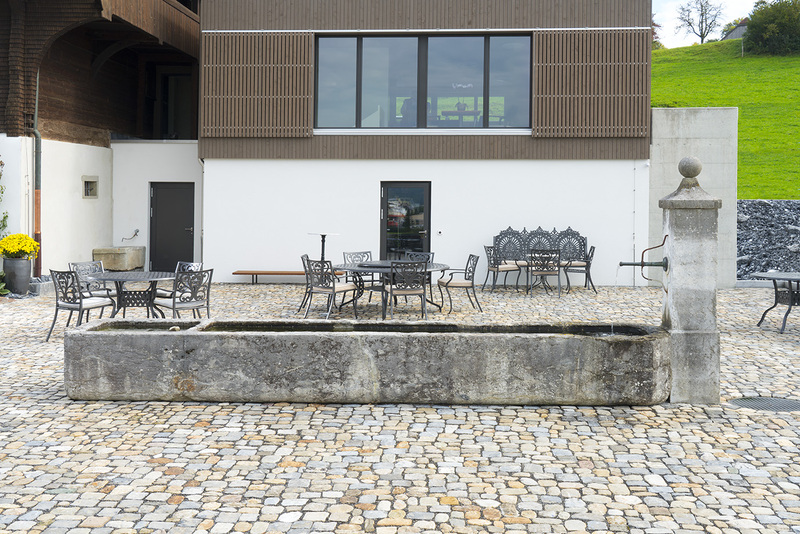 This farmhouse which is protected as a historic building was remodeled into a restaurant, this being the reason for the purchase of this eye-catching fountain. This 19th century fountain with its original pillar welcomes guests into experiencing a piece of history. 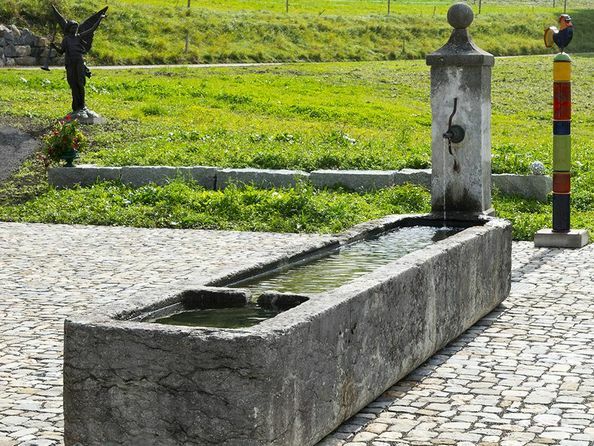 The fountain originates from Central Switzerland and has an impressive length of 200 inches (5.08m). 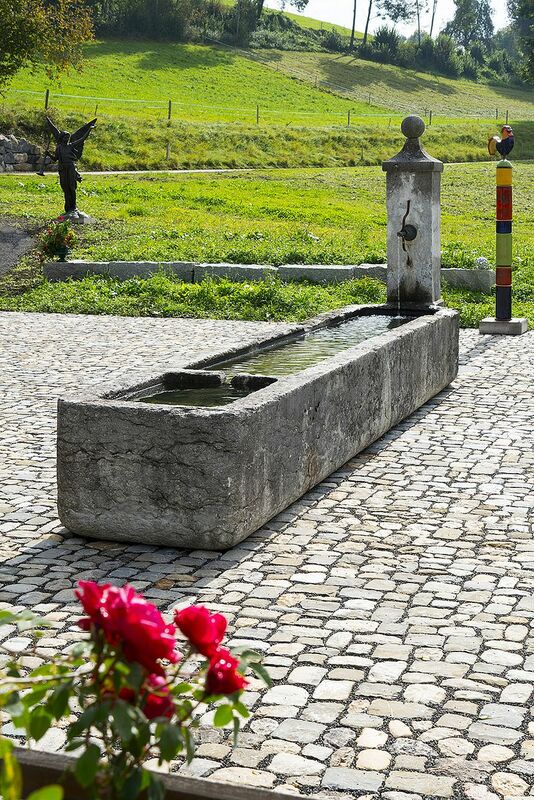 The cobblestone in the forecourt is also antique and contributes to the history of the farmhouse.